A Suffolk University/WHDH-TV (Channel 7) survey released late Monday had Warren at 48 percent and Brown at 44 percent, within the poll’s margin of error but the opposite of a similar poll in May. That Suffolk/WHDH survey had Brown at 48 percent and Warren at 47 percent. Pollster David Paleologos attributed the shift to Warren’s national exposure through her speech at the Democratic National Convention, which allowed her to share a platform with President Obama, former President Bill Clinton, and other party luminaries. The results of the Suffolk poll, which surveyed 600 likely voters, was within the four point margin of error. It was taken between September 13 and September 16. A Springfield Republican survey, taken by the Western New England University Polling Institute, had Warren ahead 50 percent to 44 percent, just outside the poll’s 4.6 percent margin of error. Another survey, by Public Policy Polling, a Democratic leaning group, showed Warren at 48 percent and Brown at 46 percent, within that poll’s 3.3 percent margin of error. 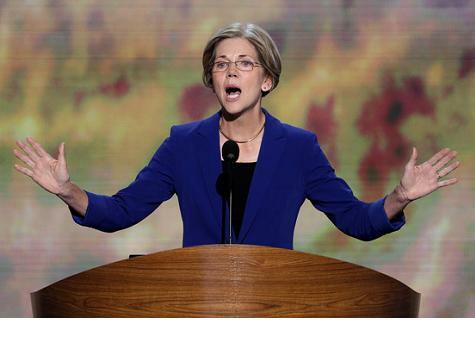 Polls in the spring had shown Warren up by a few points. The most recent poll in August had Brown up by a few points. Some analysts expected the “DNC bounce” of a few points Ms. Warren experienced to dissipate over the next several weeks. The next major campaign events will be a series of debates between Ms. Warren and Senator Brown.